Scott has over 15 years of experience spearheading some of the most successful mobile games in the industry and is now Head of Product la Lorraine Studio. Scott started out at JAMDAT where he worked on some groundbreaking feature phone projects like the industry’s first 3D mobile game (Tony Hawk’s Pro Skater: 3D Mobile Edition), the industry’s first synchronous multiplayer mobile game (Bejeweled MP), and the legendary head of Id Sofware John Carmack’s first mobile game, DOOM RPG. After JAMDAT was acquired in 2005 by Electronic Arts, Scott produced mobile games based on iconic EA franchises like Madden NFL, Need for Speed, The Sims, and SPORE. Scott was also producer on the free-to-play title The Simpsons: Tapped Out, EA’s highest-grossing mobile game of all time. 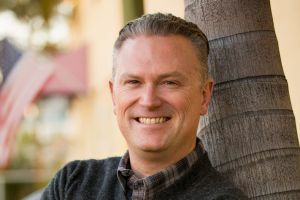 Most recently, Scott was running Disney Interactive’s co-development and licensing business for mobile games – a portfolio of over 20 games with 5-6 product launches a year. Titles Scott shipped while at Disney included Star Wars: Uprising, Disney Magic Kingdoms, Disney Crossy Road, and Frozen Free Fall, which has been downloaded over 100 million times. Scott has also worked in production in the film/TV industry on projects like Lara Croft: Tomb Raider (Paramount) as well as in video game journalism with published work appearing in media outlets like PC Gamer, PSM, and IGN.com.